She breezed into my office one cold September morning. I'd been enjoying a hot cup of Starbuck's finest and surfing the web for local news. The famous lexical semanticist Professor Edgar Nettleston had been found dead, a gunshot wound to the head. The police verdict was suicide. She held out an elegant hand as she floated towards me and I glimpsed a wedding band with a stone the size of a peanut M&M. "Sorry about the old man." "I'm not. He loved me, but he loved words more. I'll be brief. My husband was working on a paper that will rock the very foundation of lexical semantics. It's worth a fortune in lecture tours, but nobody can find it. I believe his suicide note is a clue to its whereabouts." She removed a scrap of paper from her blouse. "edith. i'm not going to whine, i've had a good life. i've found wealth and happiness as a teacher, a seller of knowledge. but i find myself depressed beyond hope ... and so i'm choosing the hour and manner of my own demise. i have treated you badly. i demanded you dyed your brown curls blonde. i thought i could buy you when i should have won your love. i called you a witch. i'd complain: where's the woman i married? i said you ate too much. if i wanted change, i could have used a carrot rather than a stick. you probably wanted to wring my neck. forgive me. farewell." "It's all written in lower case. My husband was a stickler for correct grammar. I refuse to believe it doesn't mean something." "Mrs. Nettleston, I think I can help you. There's a couple of odd things about this letter. Firstly, as you say, it's written entirely in lower case. 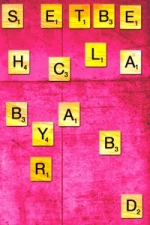 Mr. Nettleston was a world-renowned lexical semanticist, not a teenager texting his BFFs." "Secondly, it has a more than usual number of homophones, words where there is another word with the same sound but different spelling and meaning. When dealing with a lexical semanticist, that's surely no accident." "If we read those homophones in order, we have: whine, seller, hour, manner. And translating to their homophones: Wine cellar our manor." Several hours later, we arrived at the Nettlestons' country house and immediately headed for the basement. A flip of a light switch revealed tunnels filled with rows of dark bottles. "Where is it? It would take years to search this place." "Not so fast, Mrs. Nettleston. First I have to ask you something: your wedding ring diamond, how large is it? "It's eight carats. Edgar wouldn't stop talking about it." "That's what I feared." I pulled out my trusty revolver. "How you must have hated him and his lexical semantics! You figured you'd kill him and keep the money from the paper yourself. You forced him to write that suicide note, thinking you knew where it was. But he was suspicious and he'd already hidden it. And he had another surprise for you: the rest of the note, it doesn't reveal where the paper is, it reveals his killer. The final homophones: dyed buy won witch where's ate carrot wring. That is: died by one which wears eight carat ring." As the cops left with Mrs. Nettleston I took a quick trip round the maze of tunnels. It didn't take me long to find it. Most of the wine lay unpacked on racks but in one corner two cases sat stacked, one on top of each other. Carefully, I opened the lower one. 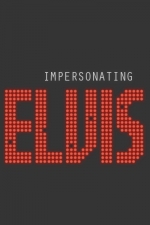 When Chuck Walaach enters the Elvis Look-Alike Competition, something has to give. 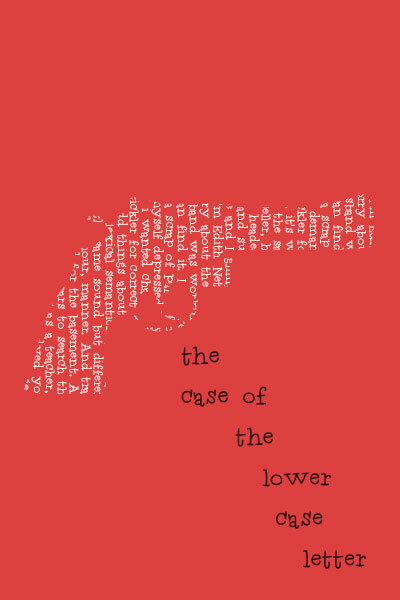 An investigator is put on the case when a mad philologist steals a new weapon.